Ganbare! Super Strikers is in the works for Switch, developer Rese has announced. The tactical RPG soccer title will be on the console later this year. Ganbare! Super Strikers is an innovative mix between Tactical RPG and Soccer. Win matches to level up and earn new equipment that will allow you to learn special abilities, boost your players’ stats or protect yourself against altered status effects, such as Sleep, Silence or Poison. – Level up your players, equip items, learn special abilities and much more. – 35+ special abilities that can inflict up to 10 altered status effects. – Spectacular animations with anime style aesthetics. 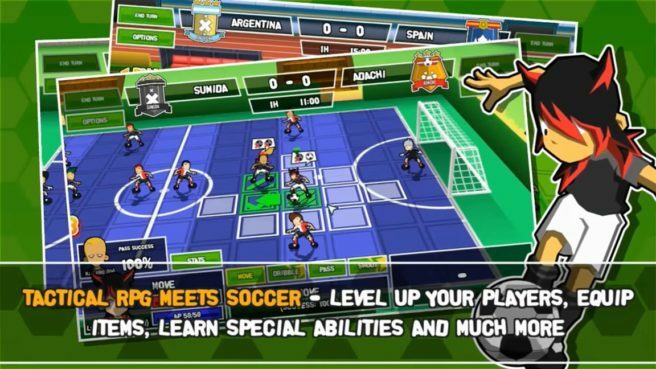 – Both 7-a-side and 11-a-side game modes. – Local Multiplayer for 2-4 players with Quick Match, League and Tournament modes. A specific release window for Ganbare! Super Strikers on Switch has not yet been shared. When we have that information, we’ll bring it to you.